Over the weekend, Dan Mindel, Star Wars 9 director of photography, posted a new picture from the set on social media. Mindel was showcasing the powerful "Space lights" that he and the crew are utilizing for ambient lighting. The ceiling is filled with these powerful lights that feature a green screen wall along with some arches. There's a lot to take in looking at the image, but Star Wars fans believe that one of the arches looks like a bridge over a mosaic image, and many believe that it's the Prime Jedi insignia. The mosaic image in the newly released Star Wars 9 set photo looks to be the same circular Prime Jedi mosaic that was previously seen on Ahch-To in The Last Jedi. It's hard to make out, but the other surrounding arches look like they belong in a Jedi temple. The Prime Jedi mosaic features the first member of the Jedi Order, who sits in a meditative state of balance. The image was shown briefly in Rian Johnson's movie and there has been some speculation that the Prime Jedi will be further explored in Star Wars 9, some even stating that the balance could represent Kylo Ren and Rey. In addition to the Prime Jedi mosaic, the massive set also looks like it's being used for more than just one scene. By looking in the back, it looks like a part of a ship has been built. It has been heavily rumored that this will be Maz Kanata's sail barge, which will reportedly be used for a big scene in Star Wars 9. There's also teases of what looks like Rebel transport doors, feeding back into the idea of the Kanata sail barge. Basically, there's a lot going on in the new Star Wars 9 set photo, which could be used for weeks of filming different scenes. As for the location of the photo, Dan Mindel has it tagged in London, which is where Pinewood Studios is. This is the second official set photo from the Star Wars 9 set at Pinewood that has been shared. J.J. Abrams announced that production had officially begun with a set photo of Rey, Finn and Chewbacca in the cockpit of the Millennium Falcon with a camera looking on. That image also doubled as his first-ever tweet. It appears that the production is taking some tips from Ron Howard and his social media presence while he took over Solo: A Star Wars Story. Howard shared many pictures from the Solo set, giving fans something to dissect and interact with. 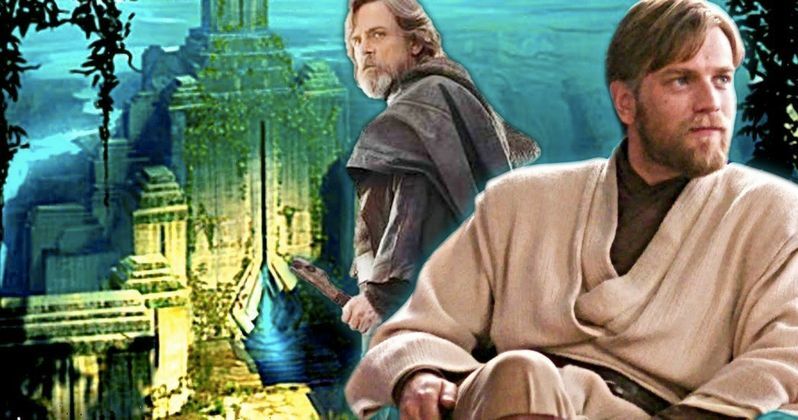 Star Wars 9 is obviously still shrouded in mystery, but we are receiving little hints that Jedi history as well as the history of the Rebels will be explored in the upcoming movie. The production is heading back to Cardington Airship Sheds, which is where they originally constructed the Massassi outpost, aka Base One, on the planet Yavin IV for A New Hope. Rogue One also returned to the sheds for Yavin IV in 2015. While we wait for more information, you can check out the latest set photo from Star Wars 9 below, thanks to Dan Mindel's Instagram account.